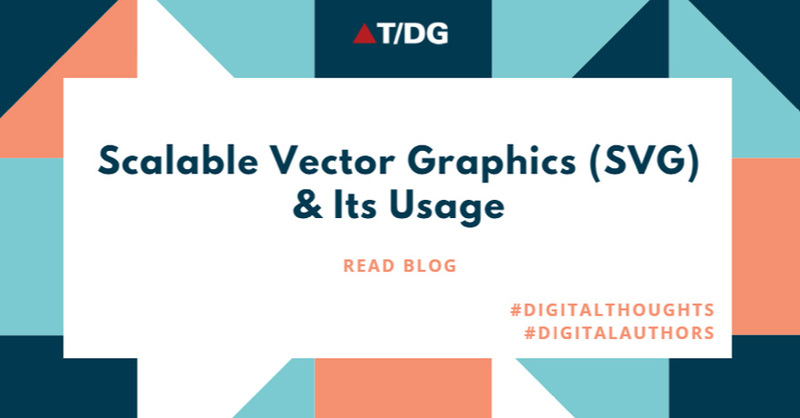 SVG is short for Scalable Vector Graphics. It is a graphic format in which the shapes are specified in XML. The XML is then rendered by an SVG viewer. SVG graphics do NOT lose any quality if they are zoomed or re-sized. Two-dimensional graphs in an X,Y coordinate system. Column charts, pie charts etc. Scalable icons and logos for web, tablet and mobile apps and webapps. Following example shows a simple rectangle with 50 x 50 pixels inside HTML page. The stroke color (the rectangle border) is set to the HTML color #ff0000. The fill color is set to #0000ff. The stroke-width is for setting border width. <rect x="10" y="10" height="50" width="50" stroke-width="2"
In normal Cartesian coordinate system the point x=0, y=0 is at the bottom left corner of the graph but in the SVG coordinate system its top left corner. <rect x="0" y="0" height="50" width="50" stroke-width="2"
Now try to change value of x and y for both <svg> and <rect>, you can see the position of rectangle is also changing. <rect x="10" y="10" height="100" width="100"
Nesting SVG elements can be useful to group SVG shapes together, and position them as a collection. All shapes nested inside svg element will be positioned (x, y) relative to the position (x, y) of its enclosing svg element. By moving the x and y coordinates of the enclosing svg element, you move all the nested shapes too. To avoid this SVG nesting SVG g element is used to group SVG shapes together. Once grouped you can transform the whole group of shapes as if it was a single shape. <rect x="10" y="20" height="50" width="75"
This example shows grouping of three shapes in a g element. Now let’s try to rotate the g element. Here you can see that all shapes within the <g>-element are rotated 45 degrees around the point 50, 50. As you can see the image is getting cut, this is the drawback of g element as it’s not having X and Y attributes. You cannot move the <g>-element including all nested shapes around, just by changing the <g>-element’s x and y attributes. To move the contents of a <g>-element you can only do so using the transform attribute, using the “translate” function, like this: transform=”translate(x,y)”. Now try to change the position of g by changing the value of translate. This way you can decide where to set the g element inside svg.